CAN WE HAZ MOAR NANOXFEITO?? | FULL MOE PANIC!!! ← Taylors Anime Festival: Reporting from the frontlines. CAN WE HAZ MOAR NANOXFEITO?? Damn, the good news just keeps coming in droves lately. 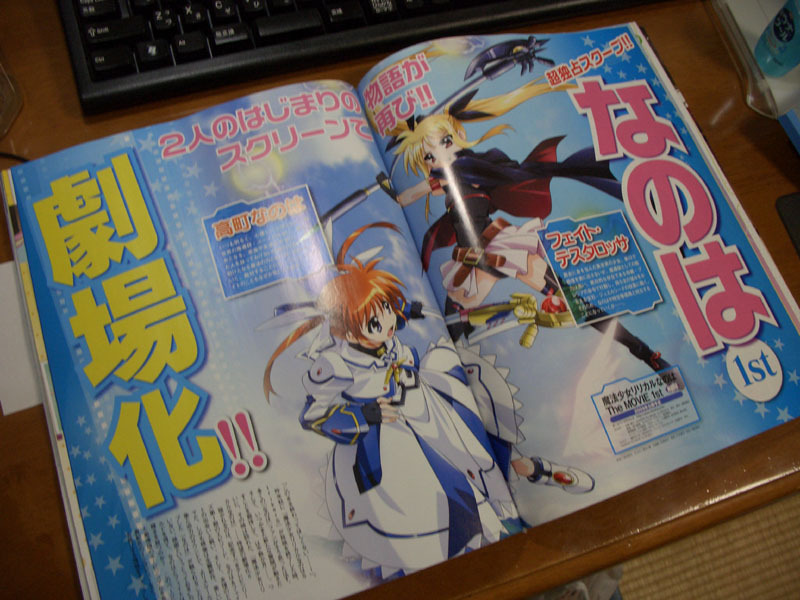 We’ve got ourselves a Nanoha Movie as well now!!!! Looks like the timeline this time would be set shortly after or before A’s judging by their appearances. 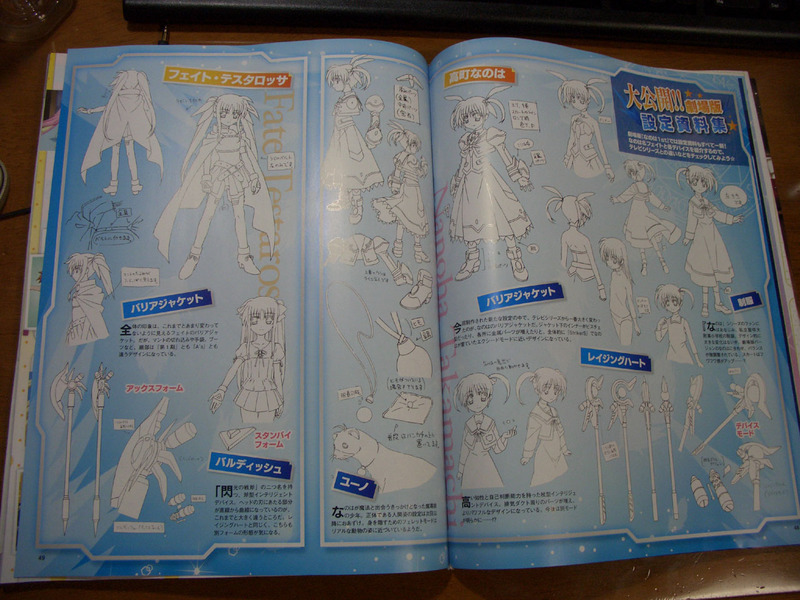 Some character sketches to whet the raging lolicon’s appetite. 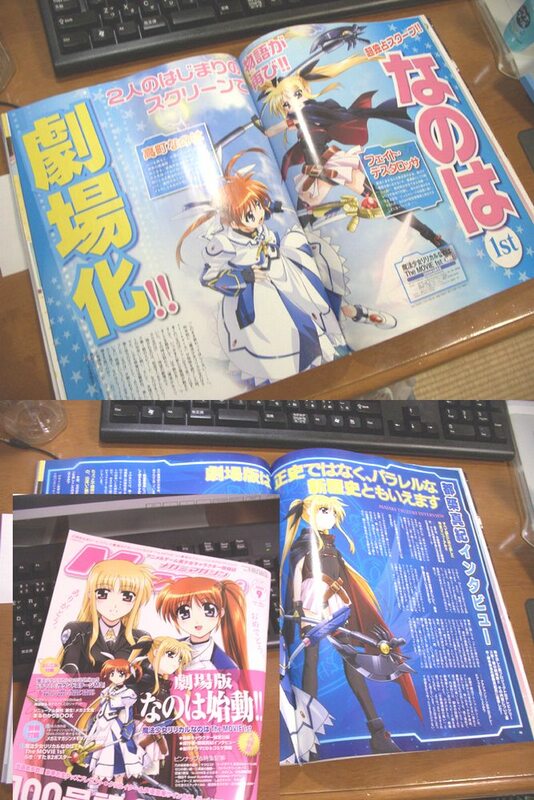 This entry was posted in anime and tagged Fate, loli, Nanoha. Bookmark the permalink. @blissmo: You’ll probably never read this, but the draw of either of these two isn’t so muc in them being ‘pretty’. ‘Pretty badass’ maybe. 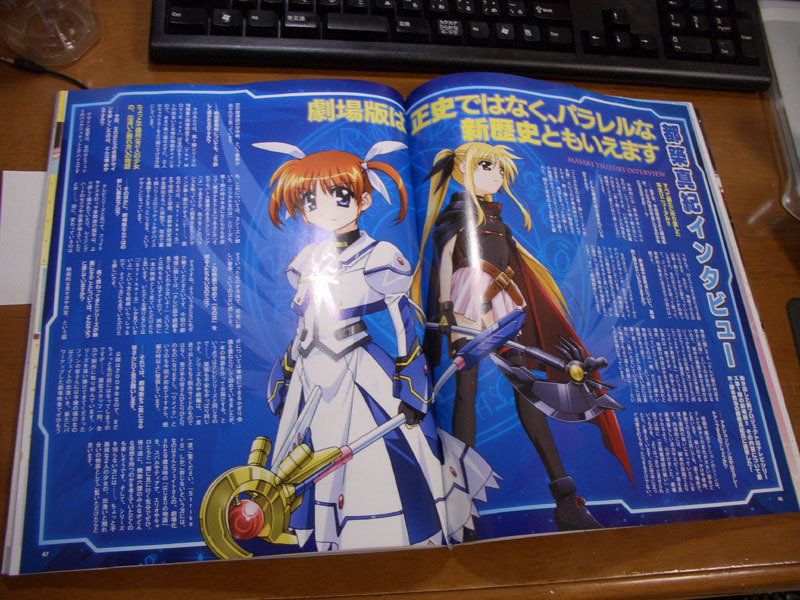 @DX: I see, but still im just glad that there is a Nanoha movie coming soon. @blissmo: you had best be joking my friend. @Shin: we are in agreement. Huh…Bardiche gets a curved blade rather than the angled one of before. Interesting.